Looking for an objective review of the Aston Martin Rapide S Saloon? OSV has got you covered, from massive engines to lease deals. Fancy stopping traffic? Then rock up in the new Aston Martin Rapide S Saloon, essentially a longer coupe that’s got a dash more usability. It shares its platform with the spectacular DB9, and comes with more doors, more practicality – but just as much performance and style. Aston Martin’s have always had an aura about them. For many of us, they’re the dream car. They’re elegant machines reserved for the financial elite who can afford the running costs, love the power, and can’t get enough of their status, and all-round ability. This one is ideal if you need a car for everyday use, and to handle all your Harrods bags. With this luxury saloon, all eyes will be on you, and few cars can carry four people around with as much style and charisma as this one can. Tempted? OSV takes a closer look at what it’s all about with our 2017 Aston Martin Rapide S review. Rapid by name – and very much rapid by nature. The Rapide is as quick as cars of this size come. In fact, you’d need to stretch your imagination a little to believe how fast this car can actually go. Powered by a huge V12 6.0-litre engine, it delivers up to 552bhp, and can get you from a standstill to 62mph in 4.4 seconds before maxing out at 203mph. This is in its revised version. Before extra powered and an eight-speed gearbox were added, the car could “only” do 0-62 in 4.9 seconds. You can still get this earlier model, but the six-speed automatic transmission it’s paired with isn’t as sophisticated as the more recent 8-speed ‘box. This is a big car, and it’s not easy to get away from that fact when you look at it. It’s got presence, but despite its size it’s still a nimble-footed machine. It’s not as twinkle-toed as a small city car, but it can manoeuvre tight corners with surprising ease. Despite the plush seats, it isn’t the most comfortable car around, however. 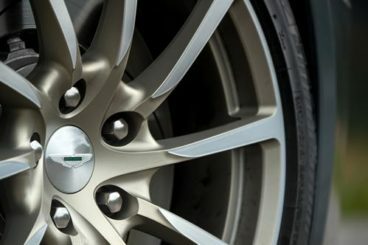 The suspension is on the firm side, and it’s a car that can feel a bit clumsy in corners once you get up to full flow. Moreover, tyre noise is noticeable, and will seep into the cabin. If you go for the most recent version, the eight-speed automatic transmission at least comes with new settings for your adaptive dampers so that you can soften the suspension and make the ride feel as comfortable as possible. This is car that can stop traffic in its tracks, and cause pedestrians to stop talking to their partners while they gaze on with admiration, envy and lust at your wheels. Even ignoring the glorious tenor-like vocal notes of the engine for a second, the Rapide S is a thing of beauty that turns heads. 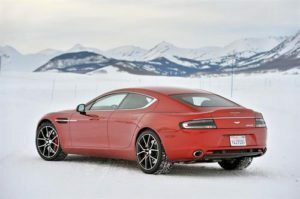 The nose is taken from its stablemate, the Aston Martin DB9 Coupe. But because the body is longer, it means you or any Aston Martin connoisseurs won’t be mistaking it for another car. And to make sure the car looks as unique as possible, the rear doors open upwards and outwards. This also ensures that they won’t be colliding with the kerb anytime soon. After all, this is a car that deserves to remain mark-free. Inside, the sense of occasion continues. There is a proper regal atmosphere in here, with the car featuring the usual Aston Martin cues. You get splashes of leather and wood trim here and there, as well as instruments only found in cars like this. It’s purely self-indulgent stuff. But who cares? 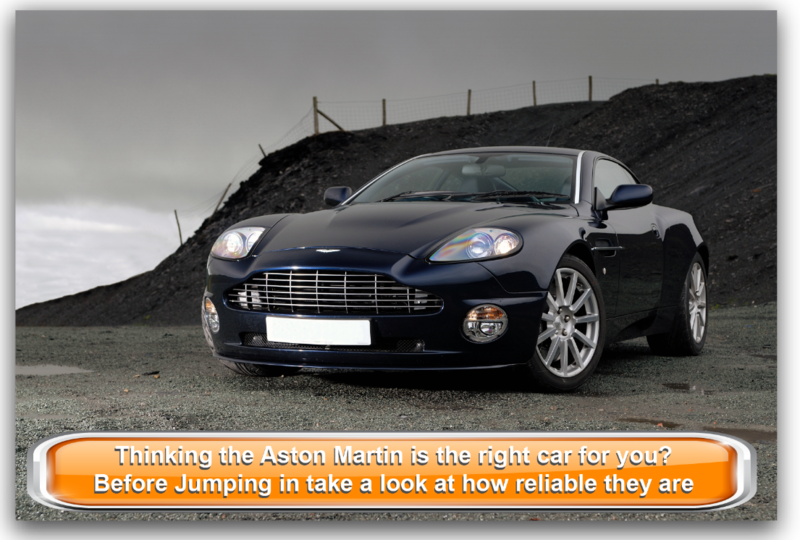 If there is one criticism you could aim at Aston Martin, however, it’s that they’re struggling to modernise their cars. So while the cabin is gorgeously conceived and executed, the infotainment system lags behind rivals. It’s not easy to use, and we’re not sure what the design team were thinking when they decided a small monochrome screen would be easy on the eye. In terms of practicality, the Rapide S is certainly usable. But it isn’t the most usable saloon on the market. The rear seats are cramped, and not exactly becoming of such a big car. Indeed, your backseat passengers might complain that they’ve had more space in a 15K super mini. However, since this is essentially a converted coupe, you can compare it with a coupe and it easily comes out on top. The 317-litre boot, for example, is reasonable, while the rear seats – however cramped they may be – are exquisite and tailored for comfort. Equipment is decent, and includes climate control, Bluetooth connectivity, cruise control, satellite navigation and rear parking sensors. The car hasn’t been crash-tested by Euro NCAP, but safety kit is good and includes side, front, as well as curtain airbags. You also get electronic stability control and traction control, while the V12 engine is a bit of a veteran that’s proven its reliability over the years. Prices for the new car start out from £149,500. If you prefer to lease, prices start out from. For more information, you can check out our lease deals here. Fearsome performance means scary running costs. It’s a case of look away now, as the car is capable of returning fuel economy of 21.3mpg at best. That puts it behind most of its major rivals. You’ll also have to pay £505 a year in road tax if you get your hands on one of these. It’s a saloon that looks like a coupe. And it performs exactly like you’d expect an Aston Martin coupe to perform. Quintessentially well-groomed, this is one of the most handsome cars on the road today. It’s based on a coupe but has the all-important usability factor, and its boot measures 317-litres. Running costs are not good, but that’s not the worst of it. Despite forking out some £150,000 on this, you can expect its value to dwindle to £70,000 after 3 years. Not cool, Mr Bond. You get what you pay for. If you want the very best, you have to be prepared to splash the cash. Let’s see how the car stacks up when compared against two of its biggest rivals in the comparison section of our 2017 Aston Martin Rapide S Saloon review. 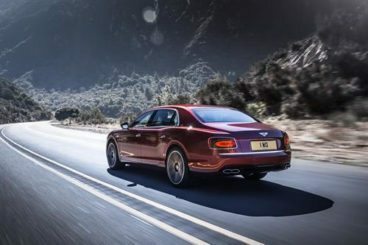 If there is one car that will help you to make a statement, the new Bentley Continental Flying Spur Saloon is it. Luxurious and commanding, it’s got as much heritage as the Royal Family. The funny thing about this new Bentley is that, while it looks austere and regal, it’s fast. Indeed, you can grab it by the scruff of its collar and launch it from rest to 62mph in 4.5 seconds. Such stunning pace is at odds with how it looks, not just in the sense that it looks so debonair, but also in the sense that it’s just so big. It’s a colossus. Those speeds are produced by the 6.0-litre W12 engine that can deliver up to 626bhp if you opt for the S model. In standard form, it still produces a gargantuan 616bhp. All that power means you can keep going until you surpass the golden 200mph mark. There are other engines to choose from. A V8 500bhp is backed up by turbochargers that help it get you from rest to 62mph in 5.2 seconds, which is still seriously quick. It emits a menacing noise that is all part of the attraction of this car. Most of the time, though, the car offers a refined and quiet driving experience. The soft suspension ensures comfort, and the steering is sharp. There is also noticeably less body lean than last time, and the driving experience as a whole is more involving. The interior is luxurious, comfortable, and well-insulated from exterior noises, with an acoustic shield helping to this end. Indeed, once it’s up to motorway speeds, the Continental Flying Spur Saloon is one of the quietest cars in the world. It comes with four seats, and each one gives you plenty of room. Wood and leather detailing lend the interior an air of sophistication, while diamond-quilted seats, chrome detailing, and 21” alloys are all part of the kit. Opt for one of the S models, and you get treated to gloss-black treatments on the door handle inserts and window frames, too. This is a fairly practical car. The big boot measures 475-litres, and there is lots of space for you and your passengers. 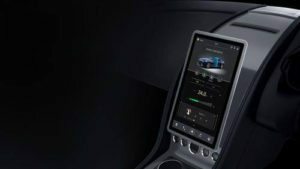 Clever practical touches include a rear touchscreen that lets your rear-seated passengers control things like the climate control and sat nav while you focus on driving, as well as pocket sockets that let you charge your phones and laptops on the move. Like the Aston Martin, the new Mercedes S-Class Saloon is a luxury car for the debonair car buyer who wants to travel in style. Smooth, refined and comfortable. Three exquisite words plucked from the English dictionary that describe perfectly the driving experience offered by the S-Class. It isn’t the most fun, but it never pretended to be. Body lean is managed well, there is a good amount of grip on offer. The brand’s Magic Body Control system, meanwhile ensures that ride comfort is good. In fact, it’s second only to the esteemed Rolls Royce. How does the system work? It checks the road ahead for any nasty surprises, before adjusting the suspension to deal with said lumps and bumps accordingly. In terms of the engines, there is a lot to chose from. 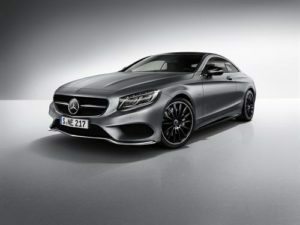 The hybrid will be quick enough for most people, and can do 0-62 in 6.8 seconds, but the AMG S65 is going to attract a lot of attention with its 0-62 time of just 4.3 seconds. However, a car of that speed seems at odds with this car’s laid-back character. If we could recommend a model, it would be the S500. Powered by a 4.7-litre twin turbocharged V8 petrol engine, it delivers up to 449bhp, and can get you from a standstill to 62mph in around 4.6 seconds. The AMG is capable of cleaning you out at the pumps, but despite being such a large car, running costs on the whole aren’t half bad. The S500e plug-in hybrid is naturally the cheapest to run, with Mercedes claiming it can achieve fuel economy returns of 100mpg. It’s also free to tax. The interior is absolutely sublime. Refinement and comfort levels have never been better, with only a whisper from the tyres creeping into the otherwise silent cabin. A pair of 12.3” TFT screens replace the traditional infotainment screens and instrument cluster. The touchpad and rotary controller that operates them are super easy to get to grips with, while voice control is a neat touch and saves you plenty of time and hassle. Soft leather upholstery is a cabin highlight, as are the brushed aluminium and wood veneer trim pieces. As mentioned, this is a large car, so practicality is good. You can go for either a short or long wheelbase version, but don’t let head or legroom sway your decision – both versions offer a huge amount of interior space, both upfront and in the back. However, there is a difference in boot sizes. Go for the shorter wheelbase and you get 500-litres, while the longer wheelbase comes with 530-litres of luggage space. Will this be the most expensive thing you ever buy? If it is, it’s worthy of such an esteemed accolade. This isn’t the quintessential Aston Martin, but it takes the essence of what makes their coupes so good and blends with some serious practicality. It’s longer than the DB9, with which it otherwise shares its platform, and comes with two more doors. So what you get is one of the most luxurious, usable cars on the planet that comes powered by the fearsome V12 6.0-litre engine that never stops snarling. The new Aston Martin Rapide S Saloon is God’s gift to men who want to feel empowered.